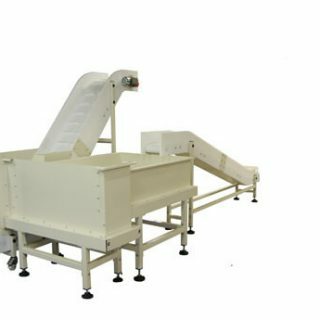 The most cost-effective conveyor for elevating products between pieces of a process plant. 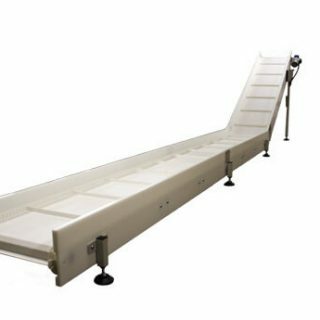 Our range of plastic conveyor systems offer versatility, strength and cost-effectiveness. 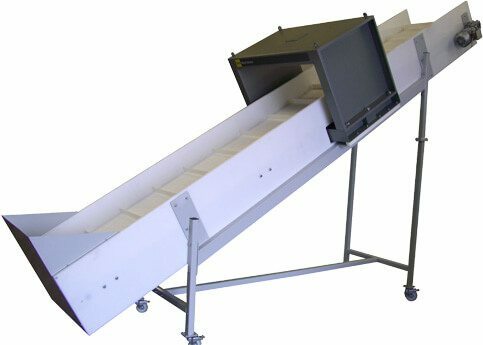 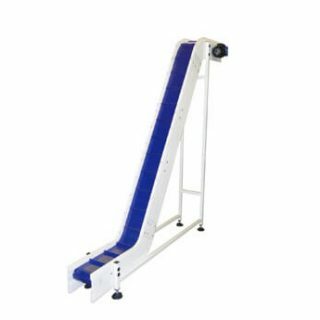 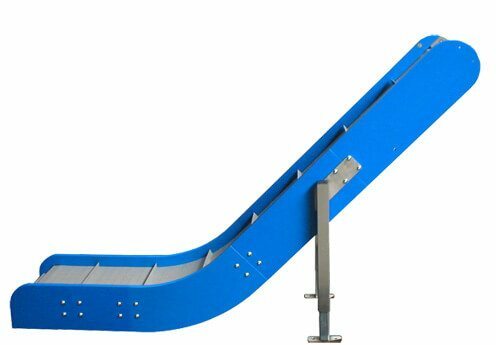 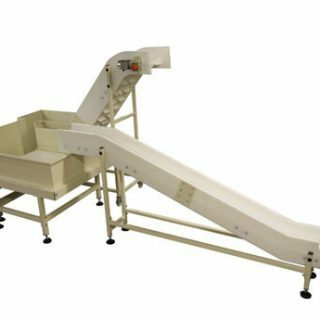 Manufactured from PE1000 this conveyor incorporates plastic side frames and a plastic modular belt. 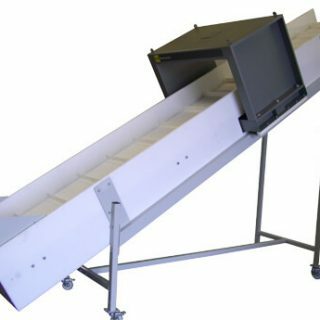 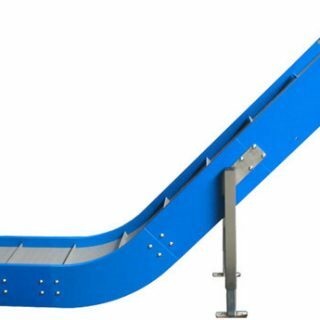 Our plastic conveyors are designed to be hard-wearing, hygienic and resistant to corrosion. 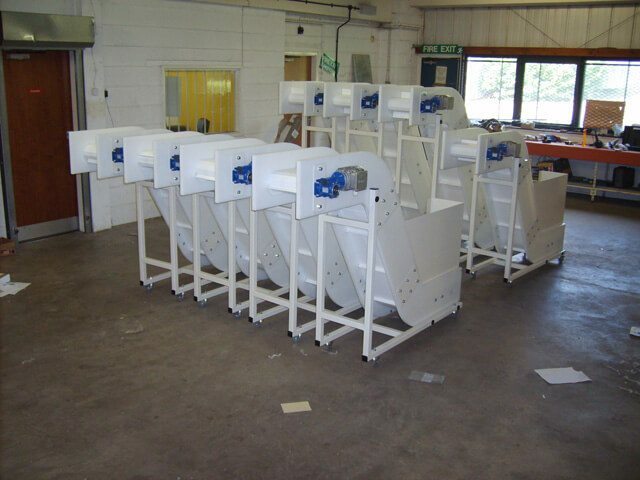 Simplistic in their design, these units run on for years at a time, with no need for belt tensioning or adjustment. 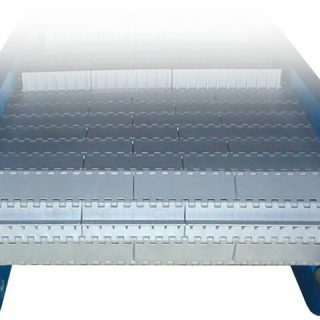 Available as straight running or inclined, they’re the perfect solution to moving small lightweight parts in a production environment. 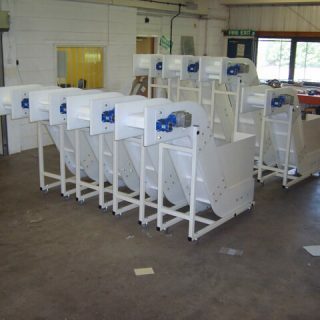 As this design is based on a modular format delivery, timeframes can be very short and as with all our other conveyors, a multitude of belt specifications are available. 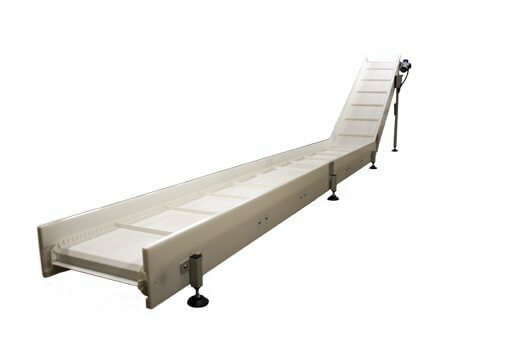 The design of this conveyor allows the side frames to be directly machined to house the plastic modular belting, thus negating the need for a skid base in narrow conveyors, or complicated brackets to facilitate a ‘swan neck‘ conveyor. 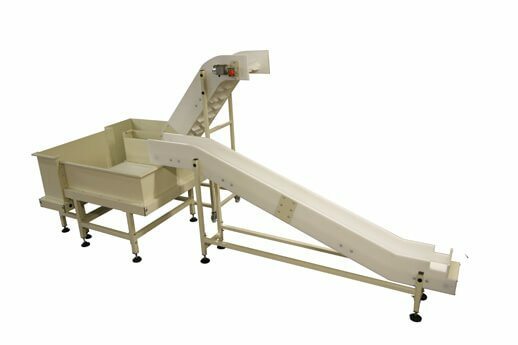 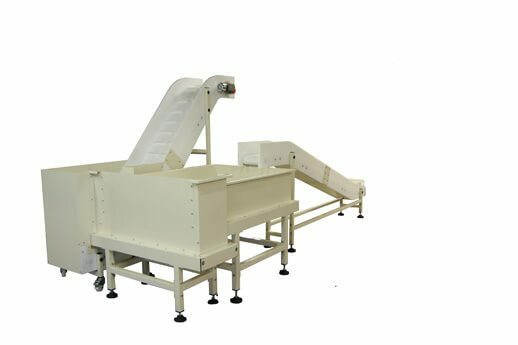 It is this design that makes the conveyor very cost-effective against the alternatives. 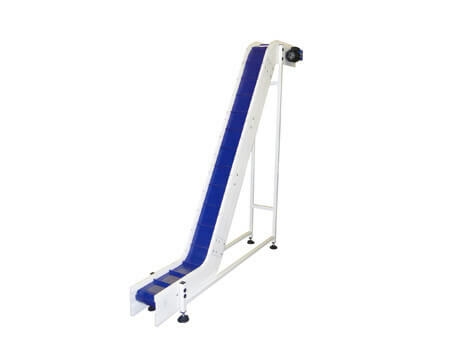 However, the range is very rugged and hardwearing. 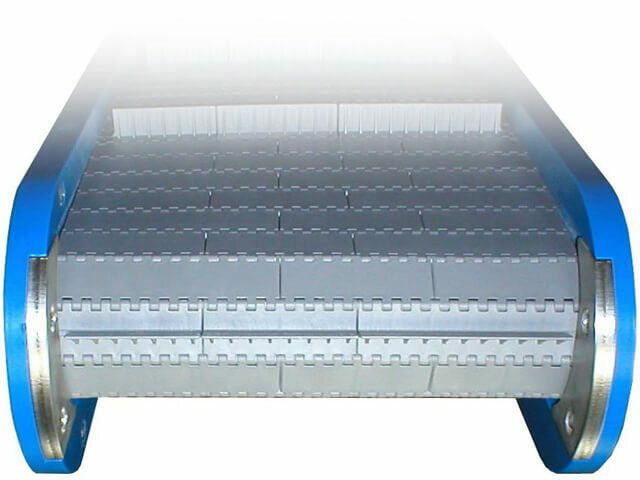 Only plastic modular belts can be used in this type of conveyor, however, a full range of solid top, open mesh or flighted belts for incline conveyors can be used. 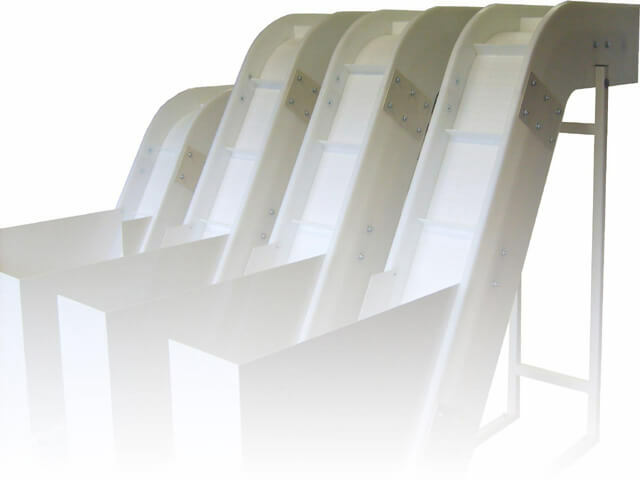 For applications where there may be potential for corrosion, the supports and internal bracings can be formed out of 304 or 316 stainless steel.